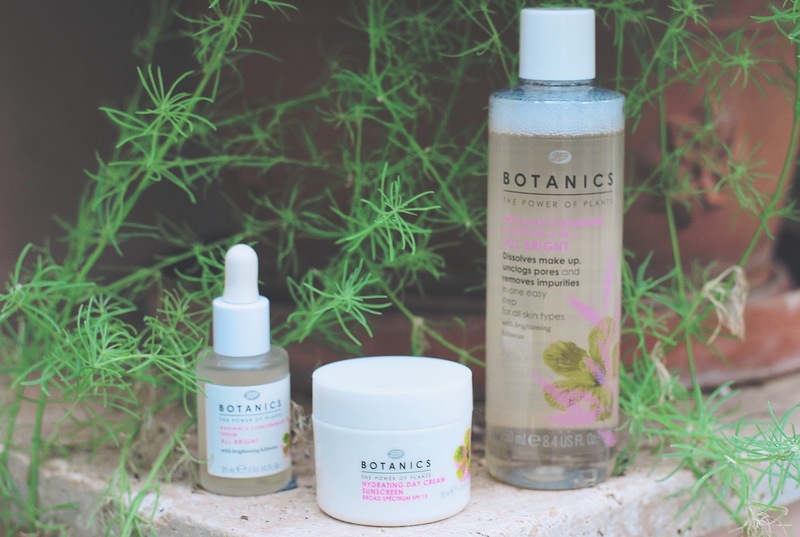 Sharing how Botanics is alleviating one of my biggest my summer beauty concerns! With banana-leaf prints, pineapple shakers, and endless #poollife pics of bikinis and floating swans cluttering my feed, I don't need to go outside to know it's officially summer 2016! I'm ringing it in by partnering with Botanics to test out, review, and share my stories on how the affordable plant-based skincare line is targeting three of my biggest summer skin issues: dull skin, dryness, and summer shine. 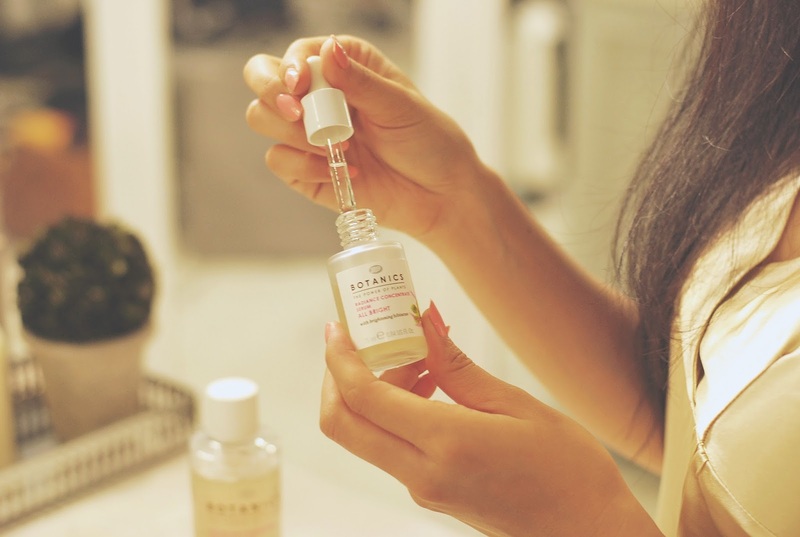 If you aren’t familiar with Botanics, it’s a skincare line I was attracted to because of its natural ingredients, wallet-friendly prices, and pretty packaging. It captures the beauty-boosting power of plants to create efficacious skincare solutions. During this season, I want my skincare routine to be quick but effective, as summer travel means I'm always on the go. Even when I was on a recent staycation at The London Hotel, I had a slew of meetings and events to attend, and needed to look glowy, refreshed, and ready in minutes. The Botanics All Bright Range is tailor-made for those who want a glowing complexion without having to go through a thirty-minute skincare routine. Botanics All Bright Micellar 3-in- 1 Cleansing Solution is the first no-rinse water-based cleanser I've ever used. This product promises to clean, exfoliate and brighten, and is alcohol and soap-free. Each Botanics skincare range features a unique plant extract that targets a different skincare need. The Micellar 3-in-1 Cleanser is part of the Botanics All Bright range, containing brightening hibiscus extract. Hibiscus is a natural brightening booster. Not only did this product "wash" away my makeup, but it also removed all traces of my waterproof mascara without stinging, which means it's both powerful and gentle. I've been using this micellar cleanser day and night, and it's definitely less drying on my skin than a traditional cleanser. After cleansing, I use the Botanics All Bright Radiance Concentrate Serum to help even out discoloration and lighten sun spots. The lightweight serum is non-oily and quickly sinks into the skin, so I don't have to wait forever to layer on my moisturizer. At $13.99, it's easily one of the most affordable brightening serums on the market. I follow up this skincare routine with the Botanics All Bright Hydrating Day Cream with SPF 15, natural-looking makeup, like light concealer, mascara, and a pale coral cream blush to really make my summer glow stand out. A few minutes (and a quick cup of coffee) later, I'm out the door and ready to glow—I mean go!